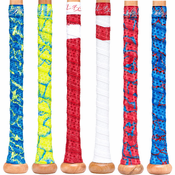 As the creators of one of the most popular Composite Baseball Bats a year ago, Rawlings has made strides over the last few years with their bat game, and that has never been a stronger statement than this year. Keeping the spirit of the Rawlings Quatro, the 2019 -3 Rawlings Quatro BBCOR baseball bat is a whole new beast. 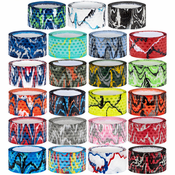 With an all-new Longitudinal Flex to enhance the trampoline that much more. 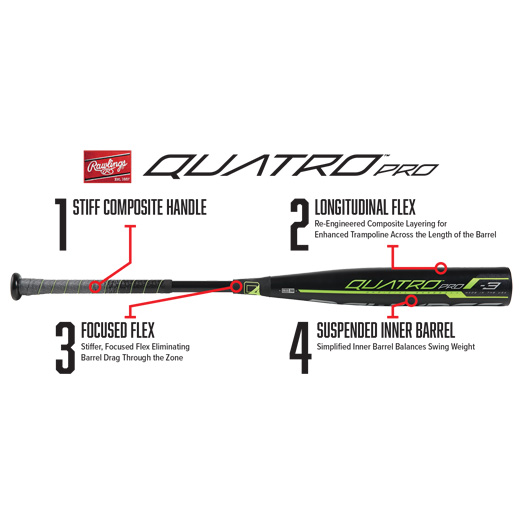 It’s also hard to continue on without mentioning the brand new Suspended Inner Barrel for a balanced weight and high velocity, and the Focused Flex tech that creates a stiffer bat overall to eliminate any kind of drag it may have. 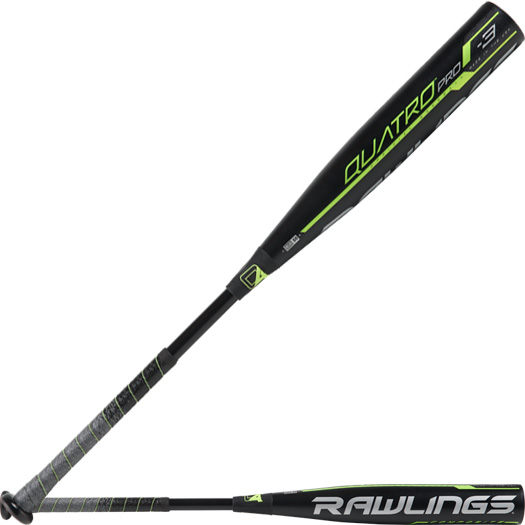 Let’s just say Rawlings put the “Pro” in this 2019 BBCOR Baseball Bat this year for a reason. -	Longitudinal Flex: enhanced trampoline effect. -	Suspended Inner Barrel: balanced weight and high swing speeds. 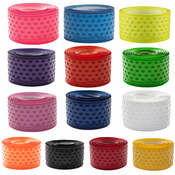 -	Focused Flex: stiffer, focused flex and vibration reduction.